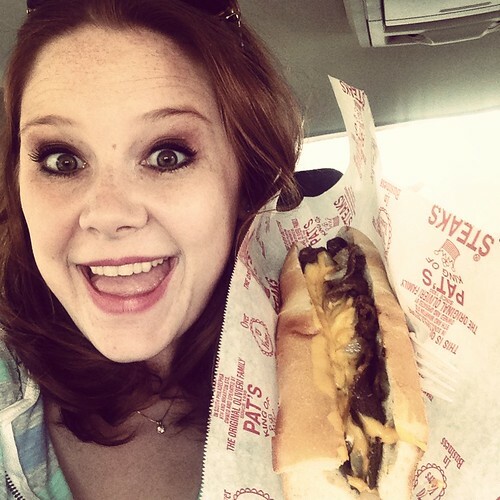 The Glamorous Life of a Housewife: Philly Food! Here's a peek of some of the highlights! The first night we got in we went back to a Mexican joint that Husby and I ate the last time we were there. It was absolutely delish. The best guacamole in the world! 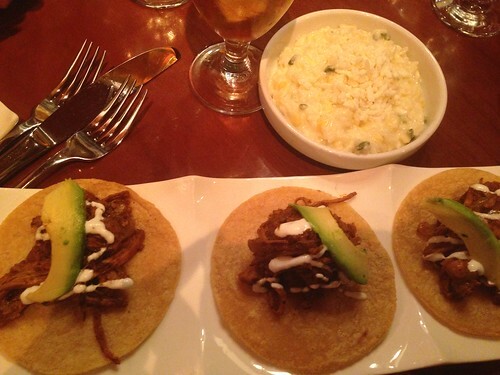 It was called El Vez, and it was amazing. The stuff in the white bowl was a special creamy rice and corn dish. Oh my lanta! 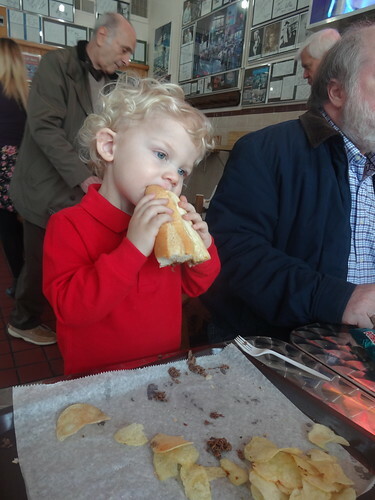 As far as cheesesteaks go, we all preferred Jim's! 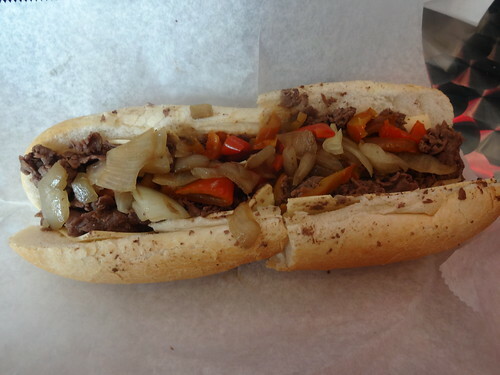 A friend of ours who is from the area told us to skip Pat's and Geno's and head straight for Jim's. It was incredible! 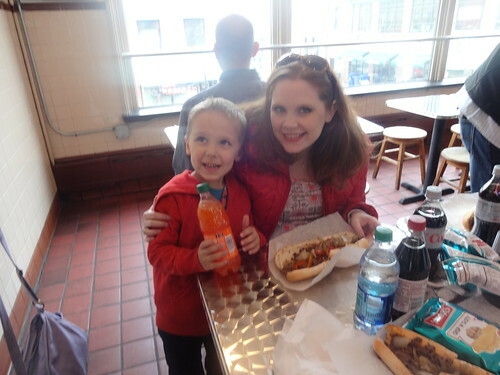 We had a couple of meals at Reading Terminal Market and everything was so yummy! 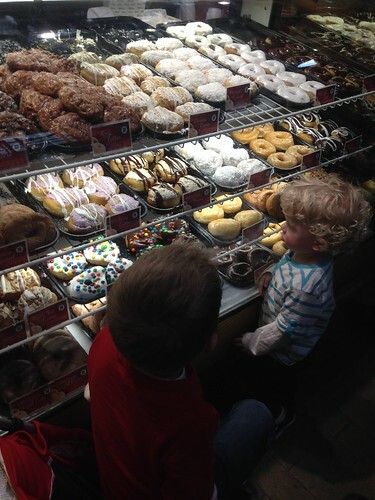 It is just rows and rows of food shops, so picking what you want is nearly impossible. 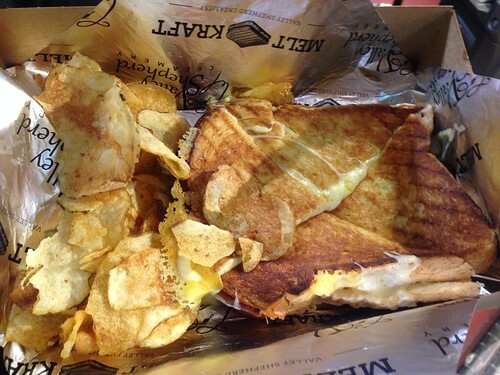 I will say that the boys grilled cheese was one of the best things we ate. It was phenomenal! 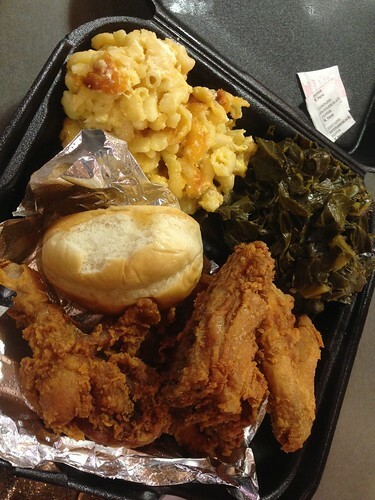 We had soul food one day and it was pretty scrumptious! 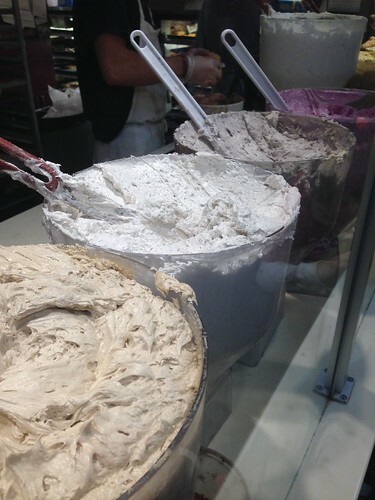 Check out all the special creams they pumped into the donuts. I declare! I also had the best corned beef sandwich I've ever had at Reading, but I didn't get a photo of it. I was starving, so I just dug on in! 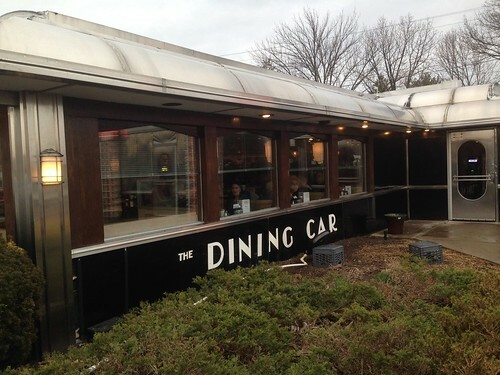 We ventured out of town a bit and went to a diner that Guy Feiri hit up and it was so fun. The staff was the sweetest in the land! I ventured out and got what Guy got ... the chicken croquettes. They were ... interesting. When we left, the owner came up to our table and gave us a free Jewish Apple Cake and asked if she could take our photo and put it on their Facebook page. Hilarious! We hit up another Guy spot called Percy Street BBQ and it was incredible!!! 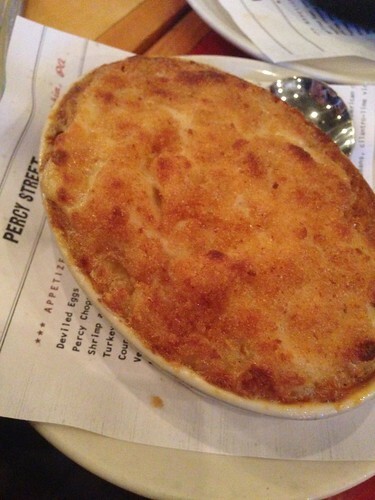 The mac-n-cheese was the best I ever ate. And so was the cornbread. The BBQ was so smoky and delicious! 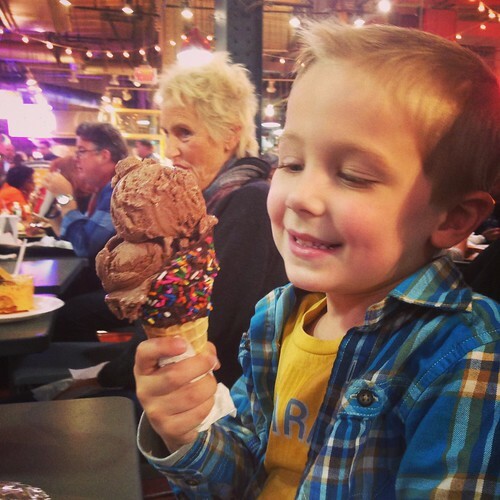 Several bloggy friends told me to hit up Franklin Fountain for some ice cream and it did not disappoint. 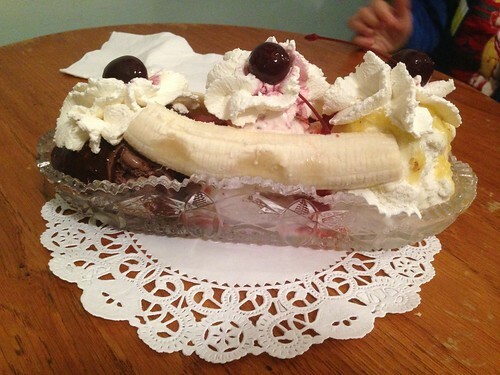 Honestly the best banana split in America! AMAZING! 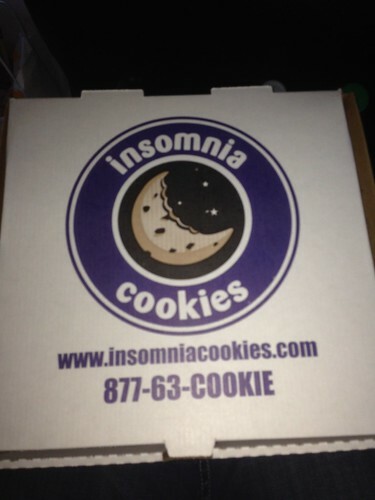 Another snack stop that we hit up twice, late night, was Insomnia Cookies. Oh. Good. Grief. 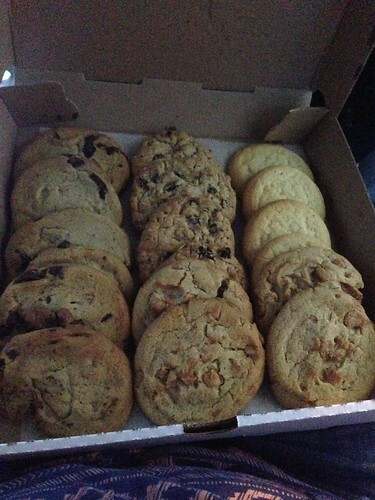 They were hot and fresh and I've never had store cookies quite like it! Oh! 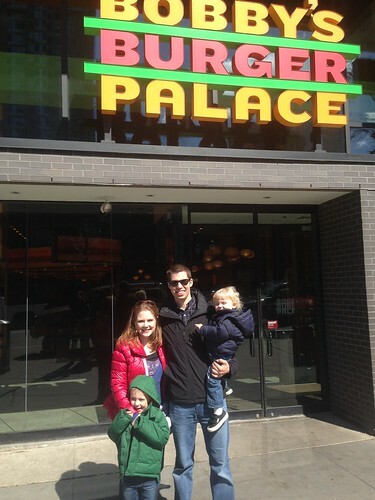 We hit up Bobby Flay's Burger Palace for lunch one day and man oh man - was it good!!! 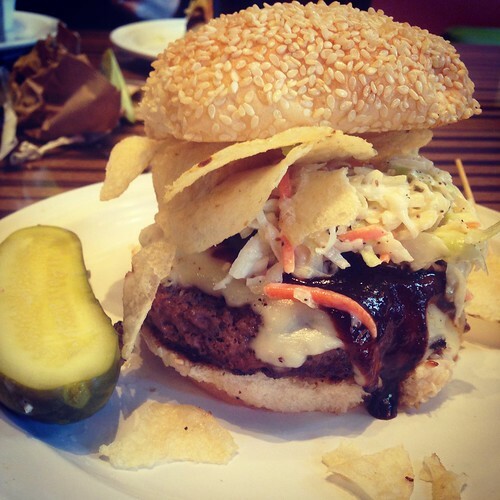 I got a Dallas style burger with BBQ sauce and fresh coleslaw on top and there is an option to "crunchify" any burger you get, with potato chips on top. I crunchified mine and didn't regret it. G.O.O.D. 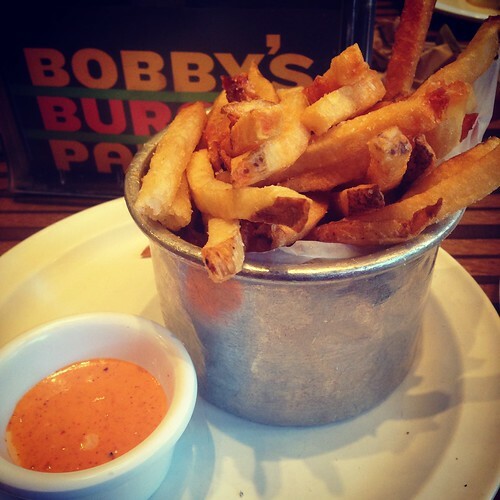 And the fry sauce was phenomenal. I even bought a jar to take home! Believe it or not, there are some meals that I didn't even get a photo of. I must've had my head in the clouds, but we ate at a delicious Italian restaurant where I had the most wonderful fettucini alfredo and the boys' spaghetti was the best I ever had. We left amazed at what a "foodie city" Philly is. 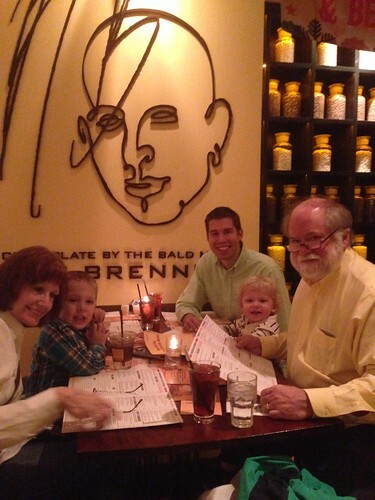 We honestly didn't have one bad meal, and everything we ate was over the top DELICIOUS!!! Mercy. You'd never know there is a doctor in the family by the food you all eat! Wow! 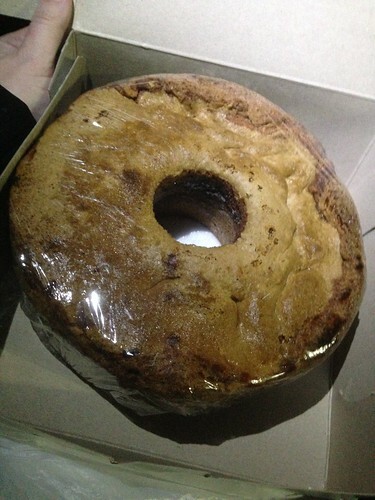 I want to come to America just to eat, haha! 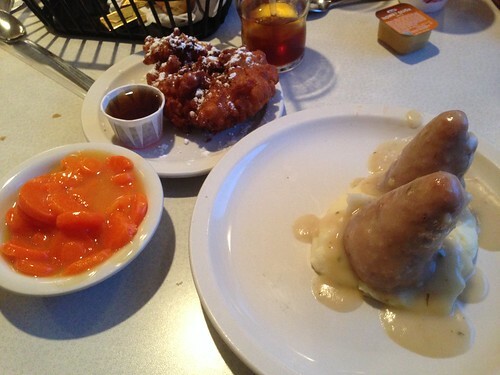 Oh man my mouth is watering!! Everything looks so delicious! oh goodness, why do I feel such a connection to another family that builds their family trips around food. Now I want to go to Philly and be buried with some mac and cheese and a cheese steak. Glad you had such a good time! I wish you'd gone to Philly before us - we were there in the fall for the marathon, and though we ate some pretty tasty meals, yours sound UH-MAZ-ING. I didn't even THINK to check the Food Network first - doh! If you ever need any other recommendations however, we LOVED an Indian eatery called Zahav, and an Italian place, Osteria.